Education is the most important gift you can give your child and, if you’re living overseas, it may come at a price. Whether you have a good international school close to where you live or if you send your child back home to be educated, it will always be a long-term commitment that needs to be carefully planned for. Here are some of the most common concerns facing expat parents. Click a question to find out the answer. How old should my children be when I start planning for their education? You can start a plan at any time and the earlier, the better. With tuition fees continuing to rise, it’s best to be well prepared in advance. In which jurisdiction will the education fund plan be set up? We’ll establish an education fund for you in either Guernsey or the Isle of Man, both of which are fully approved by HMRC. These well regulated jurisdictions can provide clients with highly tax efficient solutions. Can I transfer an existing UK-based fund to an overseas one? Yes—we can establish a highly flexible plan on your behalf, into which you can transfer funds from an existing plan. In some cases this may require a letter of authority from your existing provider. Who will manage my education fund plan? Our fund managers will select the underlying investment funds on your behalf. These are chosen for their proven long-term growth, and each has its own dedicated fund manager. How secure will my education fund be? The funds and investment products we select for you are subject to the closest inspection and most stringent standards. Many of them are also subject to investor protection structures to ensure that your investment is protected against corporate failure or fund mismanagement. The value of your portfolio will, of course, reflect changes in the underlying value of the investments within the portfolio. What happens if I move to a different country? Should you move, we would continue to remain in contact with you via email and telephone. 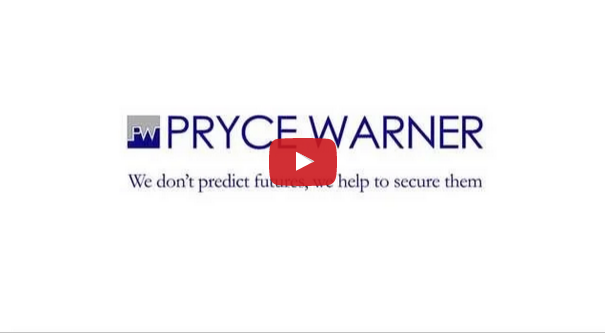 You’ll be able to view your unit statements, account information and market summaries online and you’ll be able to contact your Pryce Warner adviser via email. As your investment fund is based outside your country of residence, it will not be directly affected by your move. How secure is my private financial information? With more than 40 years’ experience in handling sensitive client information, we fully understand how important it is for you to feel that you can trust us. All your information is stored in our secure database and is only accessible by you and your advisor.